Booths selling flowers, food, stuffed toys, creatively designed bags, spices, and other items filled Hong Kong's Lunar New Year Fairs last month. The fairs I visited shared some similarities with one I visited 3 years ago in nearby Guangzhou. 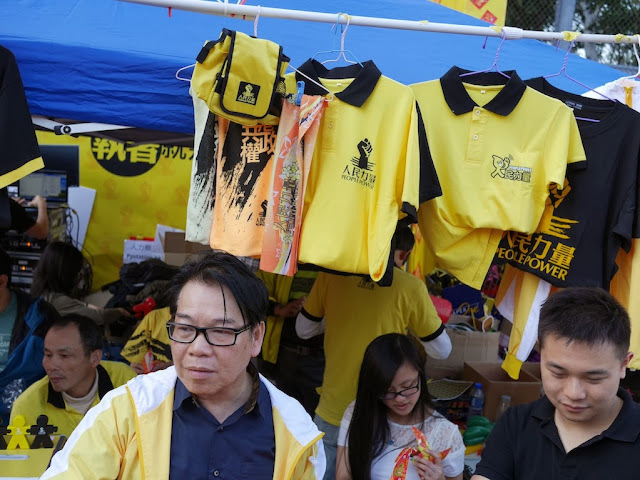 But one category of booths at Hong Kong's Victoria Park left no doubt that I could not be in mainland China. 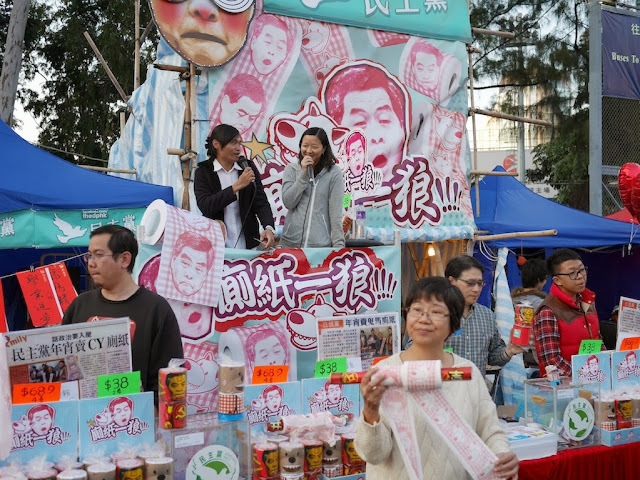 At many of these booths, people used microphones to loudly express themselves and attract attention. And volunteers handed out informational literature. 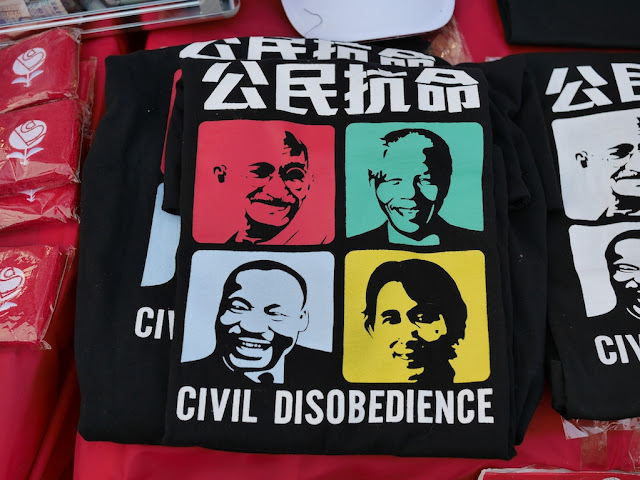 The booths' messages varied in some respects and the people running them ranged from student groups to political parties, but they held in common a belief that a select few unfairly controlled too much power and money in Hong Kong and that democracy could greatly benefit the Hong Kong people. 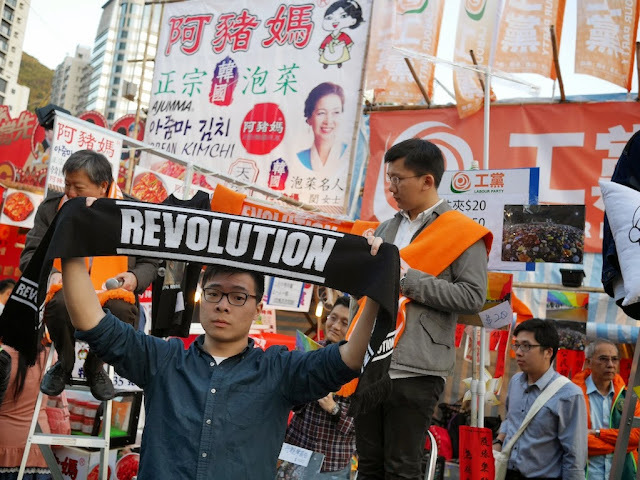 With details for planned elections in 2017 soon to be announced, several weeks earlier people marched in support of full democracy for selecting Hong Kong's leader. 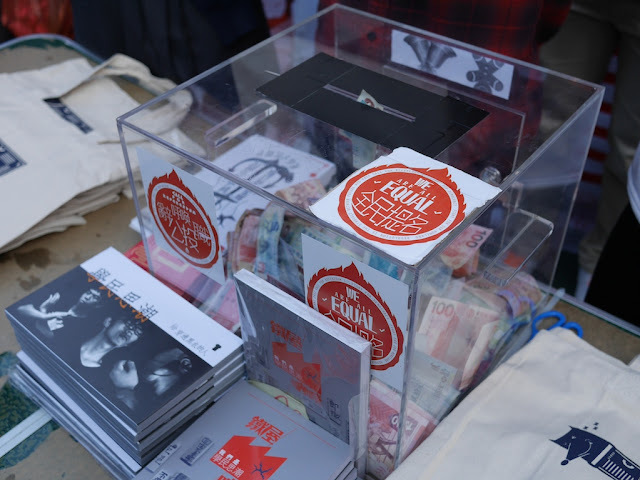 The booths sold items expressing messages in different manners and with varying degrees of explicitness. 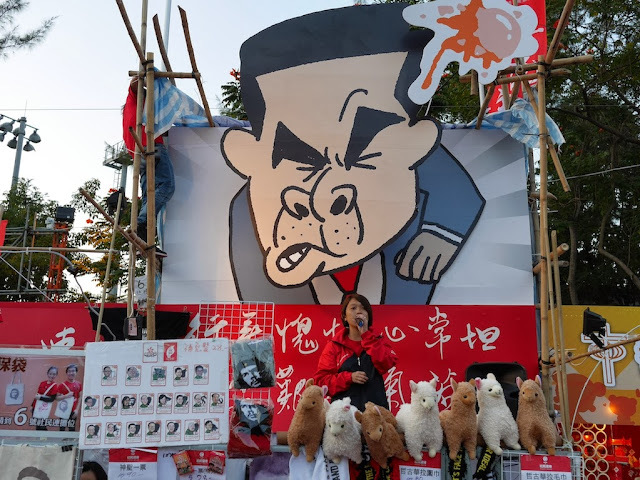 One notable item was toilet paper with current Hong Kong Chief Executive Leung Chun-ying's face printed on it. 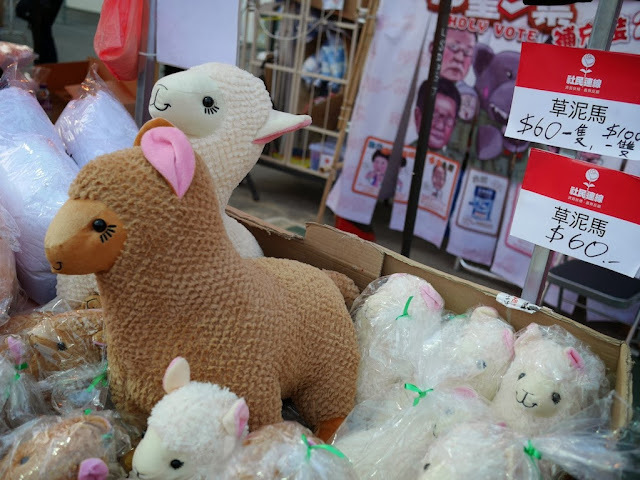 The alpaca-like grass-mud horse--a symbol of protest against censorship in mainland China--was a popular offering, even at booths which overall did not appear political in nature. 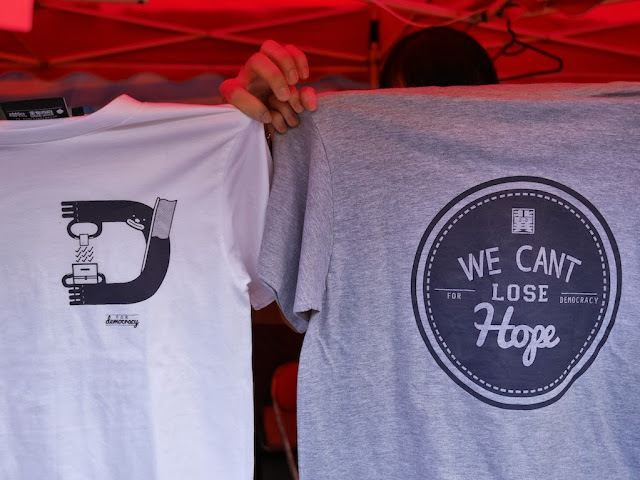 Shirts with a variety of designs were also available. 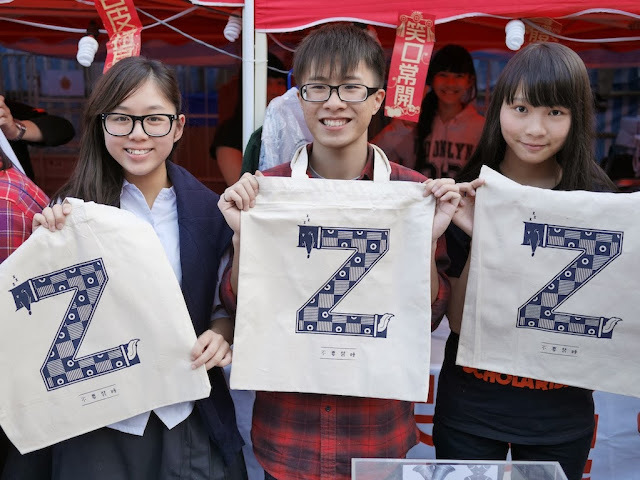 For example, a large "Z" in one design represented the idea that people needed to "wake up" if they wanted democracy to take hold in Hong Kong. 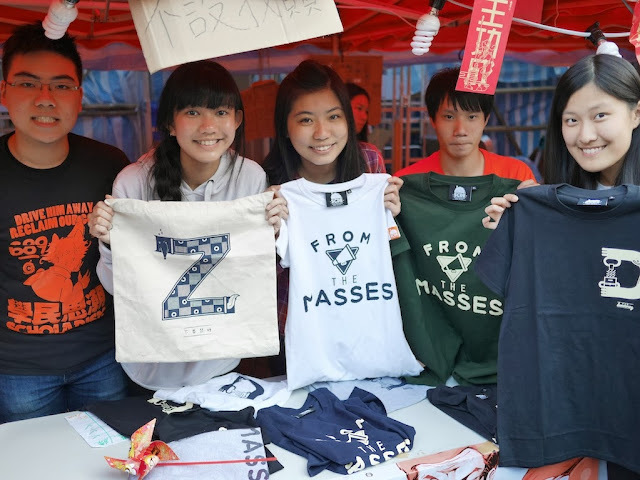 One university student explained that the less explicit designs took into consideration the discomfort some in Hong Kong feel expressing themselves directly on such issues. On a related note, as I stood talking to one group of students, I observed a number of older passersby discreetly slipping money into donation boxes without saying a word, stopping, or making direct eye contact. The students made no effort to interact with these people, and there was no sign any acknowledgement was expected. 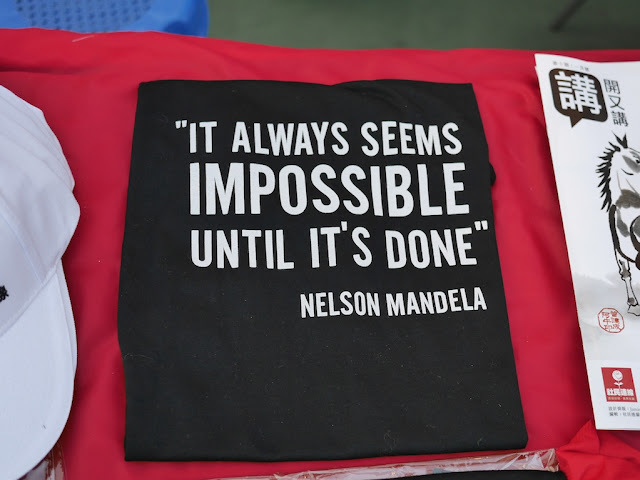 All of the organizations lead broader efforts, and they don't expect it will be easy. A few people told me they expect a substantial struggle will be required. 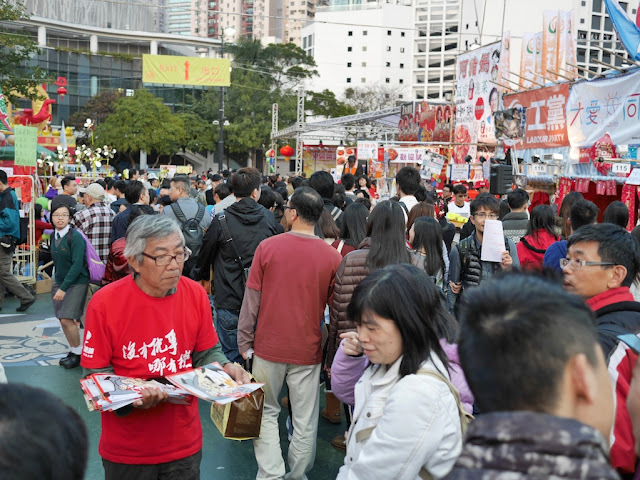 Much of what was occurring at these booths would not have been allowed at the Lunar New Year fair I saw in Guangzhou due to greater restrictions on expression, especially when organized, in mainland China. For me, the contrast was unmistakable. 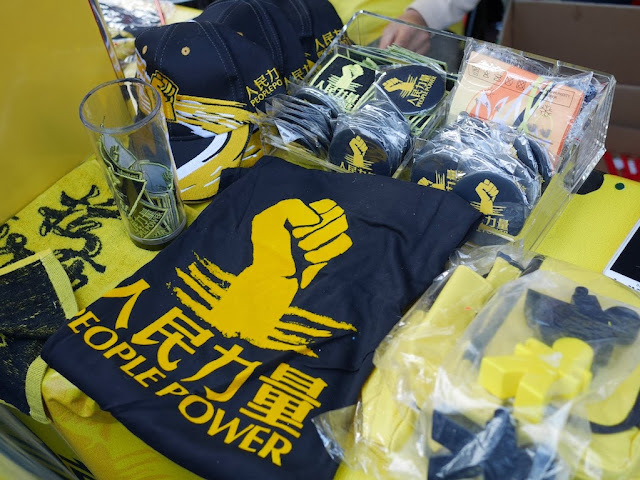 But many Hongkongers are not content with the additional freedoms they enjoy, some of which are deteriorating or are threatened. 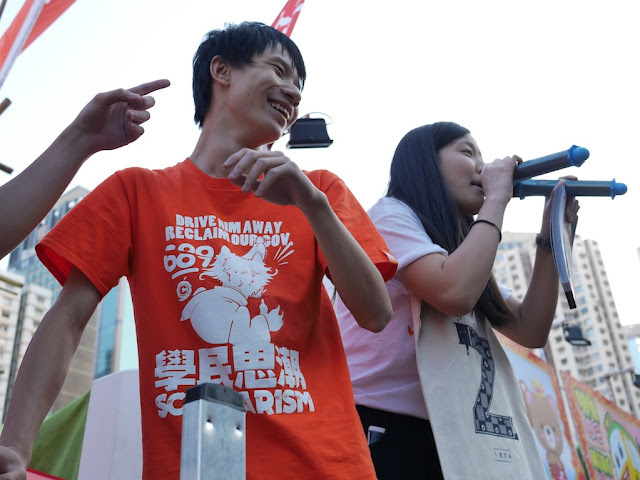 The 2017 election presents a dilemma for China's Communist Party: "shackling the territory’s democracy could pose as much risk to Beijing as agreeing to a truly free vote". It's not just about Hong Kong. People elsewhere are watching as well. The people I met at Victoria Park face imposing obstacles. It's not clear whether they'll be able to rally the type of support and action that may be required to achieve their goals, if possible at all. It would be easy to bet against them. But even though they may be unsure of what the future holds, they aren't saying, "I don't know a way to make it happen." They have hope, and they are trying.